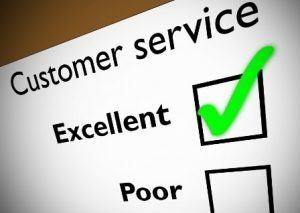 We have the highest Customer satisfaction on the Cape! Just a short note to thank you for your continued good service over the years. When all of my various uninvited critters pay me their usual annual visit, my frantic call to Cape Cod Pest Pros is always responded to promptly and with courtesy. I certainly appreciate that … as well as the speedy retreat of my “wildlife” from my home ! Thanks!! Thank you very much for your help, excellent customer service, and kindness! You are a breathe of fresh air! Neil, our most recent addition to the Pest Pros team, may be a contender in the Guinness book for recipient of the most compliments from satisfied customers his first year here. Below is the latest letter from a happy customer in East Falmouth. Neil is so professional and knowledgeable. Polite and sticks to the job. Answers all questions. All the folks who have come to my home are super but Neil really is an asset to your business. Thanks for hiring him! We’ve been using Cape Cod Pest Pros for several years and have always been pleased with their service. Their technicians are very knowledgeable and helpful and their response time is great!! I would highly recommend your using Cape Cod Pest Pros. I can recommend Dan Caouette and the Pest Pros as a company with a great customer service and deep knowledge of pest control solutions. Dan Caouette was very honest and fair when we first dealt with him a few years ago. As a result, we only use his company and would recommend them to anyone! Dan’s technical background and dedication to quality results makes Cape cod Pest Pros the solution to the problem. Where can I possibly begin to Thank-You for all you did for me today! It’s a day I’ll never truly forget! In many ways it all seems so vivid, yet such a blur! Me calling you at 7:15 AM to tell you my 10 year old son’s hamster was missing and my kitchen was getting “ripe”. …I can’t tell you how pleased I was to see your trucks pull into my my driveway — not only did you keep your word but arrived on time! …I honestly feel like I met two angels today.